When it comes to property maintenance solutions, look no further than to Clean Sweep Lot Service, LLC! 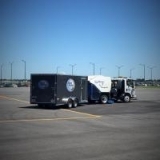 Clean Sweep Lot Services is fully insured and provides trained personnel operating late model, well-maintained equipment tailored for each and every project. 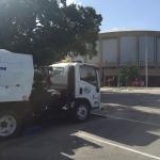 In addition to lot sweeping, we offer sweeping for streets and highways for municipalities and DOT customers, as well as for homeowner associations (HOAs), industrial site access areas, racetracks and more. The Clean Sweep fleet is equipped with GPS tracking. This provides many benefits to both us and our clients. For your protection, our GPS system allows us to provide our customers with ‘proof positive’ about when our sweepers were on your property. Sweeping: roadways, parking areas, gated villages, airports, construction cleanup. Property Maintenance: pavement repair, seal coating, striping, pothole patching, speed bumps, overlays, etc. Cleaning: vacated tenant spaces, retention ponds, goose droppings, soil erosion areas, bulk refuse disposal. Improvements: pavement, wheel blocks, metal bollards and drain grates, inspection programs, abandoned item removal. General Carpentry: repair, light and sign maintenance/removal, synthetic stucco, seasonal services. Tenant Maintenance: tenant space repair, graffiti removal, painting, replacement of windows, ceiling tiles, locks and doors. Please take a look at the wide variety of services we provide then send us an email or call 317.339.5722. to learn how we can assist you in showcasing your property in the best possible manner. We also offer complete company information on our website, located at www.cleansweeplotservice.com. No matter what type of power sweeping you needs you might have, you can always count on Clean Sweep Lot Service. We look forward to exceeding your expectations in all aspects of our work performance for you or your organization.